I know code allows open risers but I am trying to find more definitive information on safe design. As usual, opinion and anecdote is easy to find but I haven't seen a more academic/scientific look at, for example, accidents and the presence/absence of risers (though of course, 'correlation does not imply causation'). edit: I found related information on pubmed (https://www.ncbi.nlm.nih.gov/pubmed/26203488) regarding highlighting the edge of the step to improve gait on the staircase. This concept could be applied to my question if the open riser provided contrast to the stair itself. Unknown whether the open riser itself causes issues (e.g., foot catching in the open space). 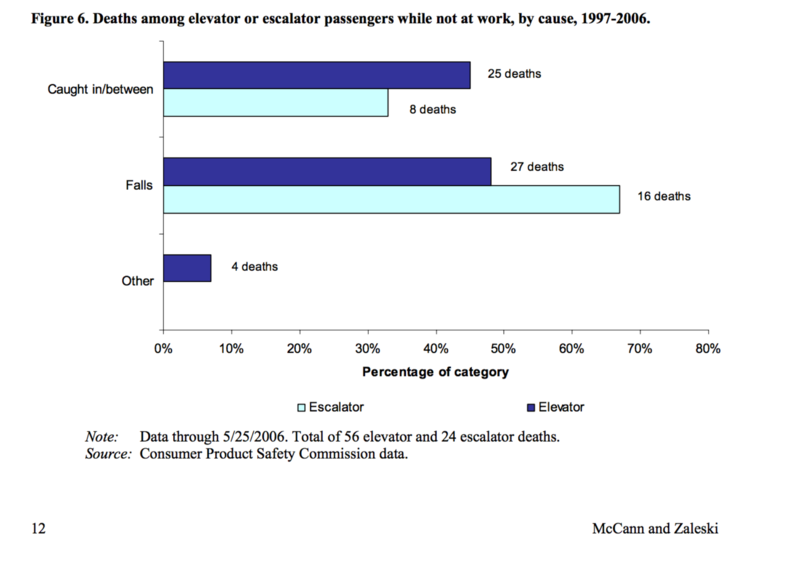 if you look at the paper from McCann you can see that Falls is the number one reason of death in escalators (that are open riser). Not the answer you're looking for? Browse other questions tagged usability physical safety or ask your own question. If two ways of signing up are possible, should it be stressed that there are two atlernatives? Why are child-resistant packages sometimes easier to open by kids than adults? Is there evidence that users ever look to a website's URL as a breadcrumb for navigation?